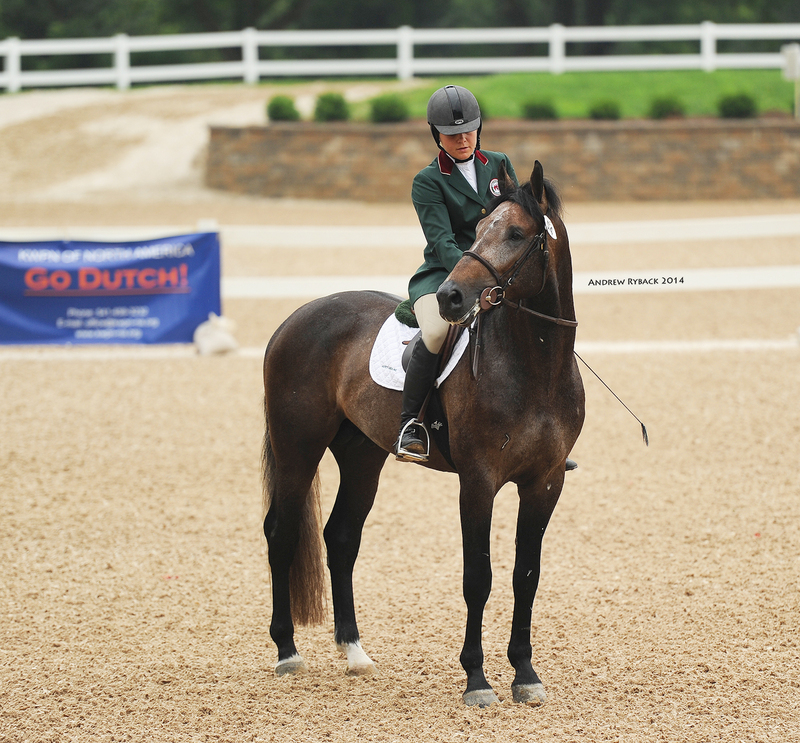 Wayne, IL – July 15, 2014 – Lamplight Equestrian Center hosted the Young Horse Series Horse Show Saturday, July 12, 2014. The Young Horse Show Series is designed to provide sport horse breeders as well as owners, trainers and riders of all disciplines, an affordable show venue to introduce and evaluate their young horses to the show environment. 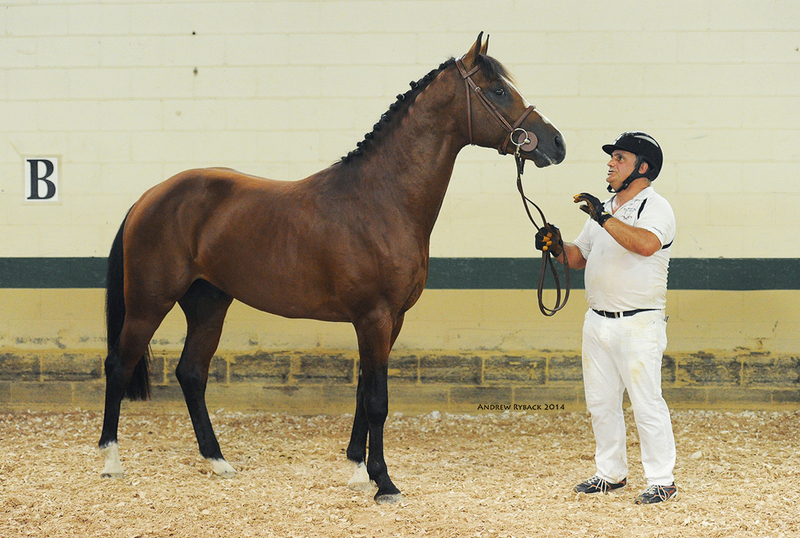 The shows provide an avenue to “put on necessary mileage” with appropriate and special classes suitable to the proper development of young horses. It is also intended to create a sales environment where numerous young horses are in a single location where their talents can be displayed in front of a buying audience. Sponsors backing the event include Spy Coast Farm, Blue Chip Farms, Footing First, Page Brook Farms, Tequestrian Farms and Aliboo Farm. Horses were judged in hand, under saddle, in the jumping chute and jumping. Taylor Flury of Aliboo Farm, Minooka, IL, added, "The Young Horse Shows are a wonderful venue for breeders and owners of young horses. AliBoo Farm had a great experience taking our young horses to Lamplight because we believe it to be very educational in an affordable and appropriate environment. Having spent countless hours and days investing time and love into the development of our young horses minds and bodies, we are very grateful to JeanYves for creating such wonderful opportunities for young horses." Lamplight will continue to support young horses and breeding by holding the event again next year. Winner of the Yearling In Hand was Anthemis Z (Asca Z /Lupicor) bred by Margiret Limpens and owned by Aliboo Farm with a score of 8.79. Winner of the Two Year Old In Hand was Meister ABF (Lupicor /Landetto) bred and owned by Elizabeth Houstma with a score of 8.18. Meister ABF owned by Aliboo Farm won the Two Year Old In Hand section. Winner of the Three Year Old In Hand was Sonnenlicht (Blitz und Donner/ Tizian) owned and bred by Parvin Work with a score of 8.09. Cosmea Z (Calvados Z /Lupicor) owned by Aliboo Farm and bred by Margiret Limpens, won the Four and Five Year Old In Hand class with an 8.55. Winning the Three Year Old Under Saddle was My Pride (Vlylord Carthago/Eurocommerce Berlir) bred by Piet Jansen owned by Aliboo Farm with 7.93. Winner of the Four Year Old Under Saddle was Cosmea Z (Calvados Z/ Lupicor) bred by Margiret Limpens and owned by Aliboo Farm with a score of 8.1. Winner of the Five Year Old Under Saddle with an 8.11 was Never Say Never OTJ (Dollar du Murier /Fruehling) bred by Christy Bond and owned by OTJ Stables. Winning the Two-Year-Old section was Livellica HH (Livello/Polydor) bred and owned by Elizabeth Houstma scoring 8.11. Winner of the Three Year Olds with 8.34 was Calano Z (Calato Z/Calvaro Z) bred by Piet Jansen and owned by Aliboo Farm. The Four Year Old Winner was Carnasca Z (Asca Z /Calato Z) bred by Hyperion Stud and owned by Aliboo Farm with an 8.55. Winning the Four Year Old Jumping was K Diamant d'Heure ABF (Diamant de Semilly/Rio Grande) owned and bred by Aliboo Farm with an 8.68. K Diamant d'Heure ABF owned by Aliboo Farm won the Four Year Old Jumping section and won the High Point Under Saddle Award. Winning the Five Year Old Jumping was Jett B (Simsalabin/Chin Chin) bred by Bannockburn Farm and owned by Farmer with an 8.18. Limpens and owned by AliBoo Farm. Numerous facility improvements including GGT Footing, make Lamplight Equestrian Center Chicago’s premier horse show facility. 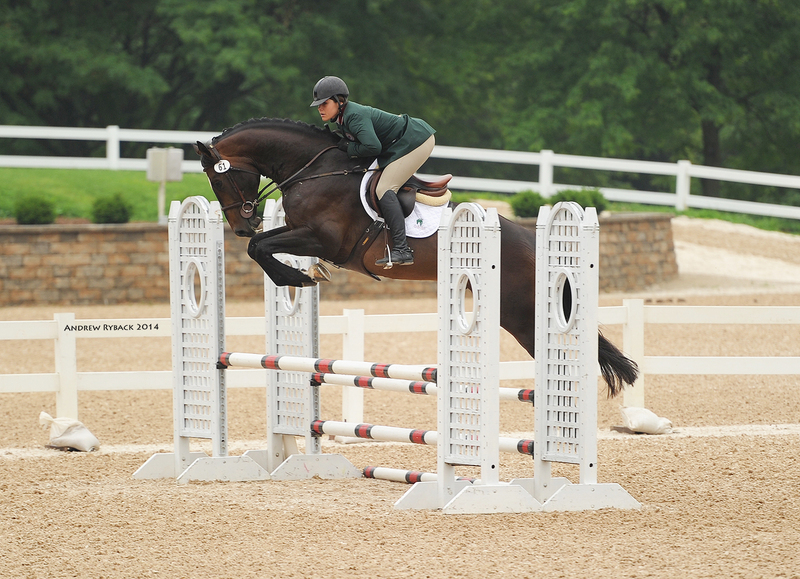 Lamplight will host Equifest I and II July 23 - Aug 3, 2014.